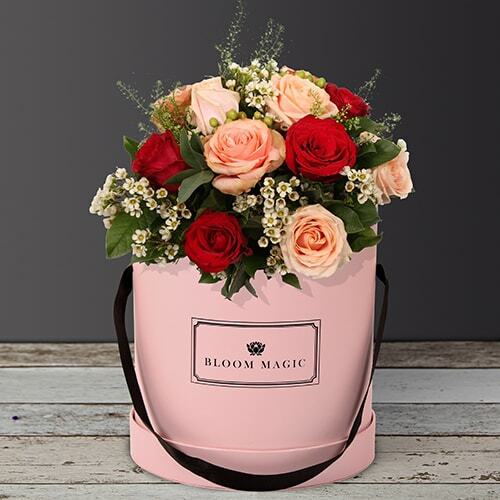 Danser au Moulin Rouge is a sweet arrangement of luxurious roses set in our fabulous blush pink hatbox. 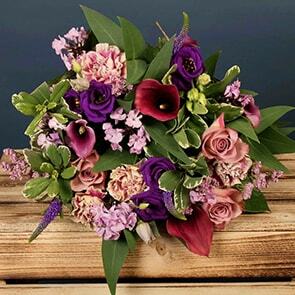 This bouquet can also be paired with a charcoal gray hatbox or a powder blue hatbox. 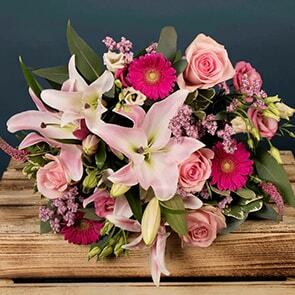 Danser au Moulin Rouge is a perfect bouquet of flowers for a romantic occasion or for a birthday.